Have you been lounging at your Living Room’s couch watching the TV or walking into your Bedroom lately and find the environment to your home too familiar and not notice its presence anymore or not the cozy home you used to love spending time in? Or things are piling up and you knew where you have kept the piece of paper you jotted down the number of a friend but just couldn’t find it anywhere? If you are experiencing the above scenario, you need to consider a makeover to your home! 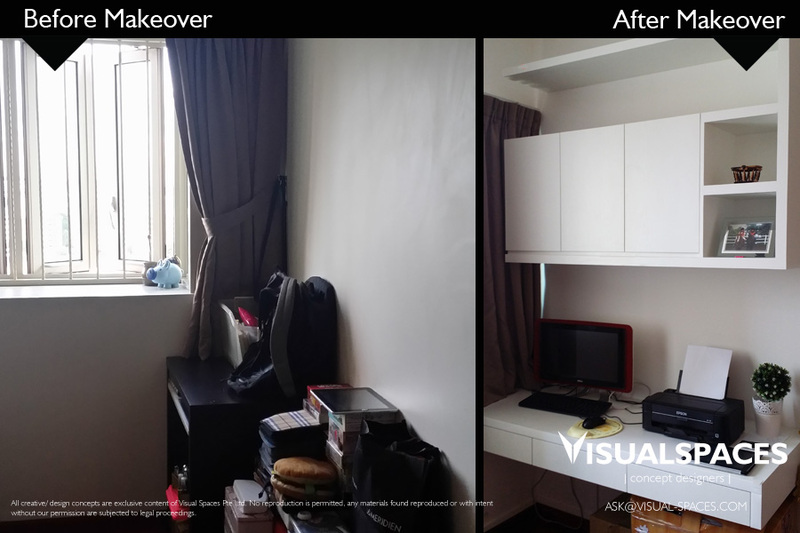 Let VS. share with you a simple makeover we have done for a client who has been facing her condominium’s existing decor for over 10 years and finally decided to do something about it. Through a recommendation by her friend, she contacted VS. for a consultation on how we can help. 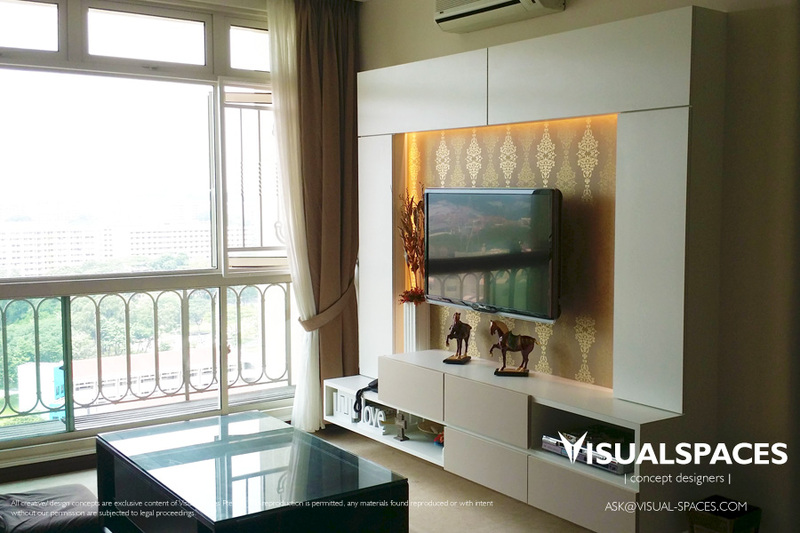 Meeting up with Visual Spaces designer is an exciting new start to a makeover to our client’s home and after a few rounds of design proposals, we wrapped up the discussion to finalized the design theme and started the renovation without any delay! 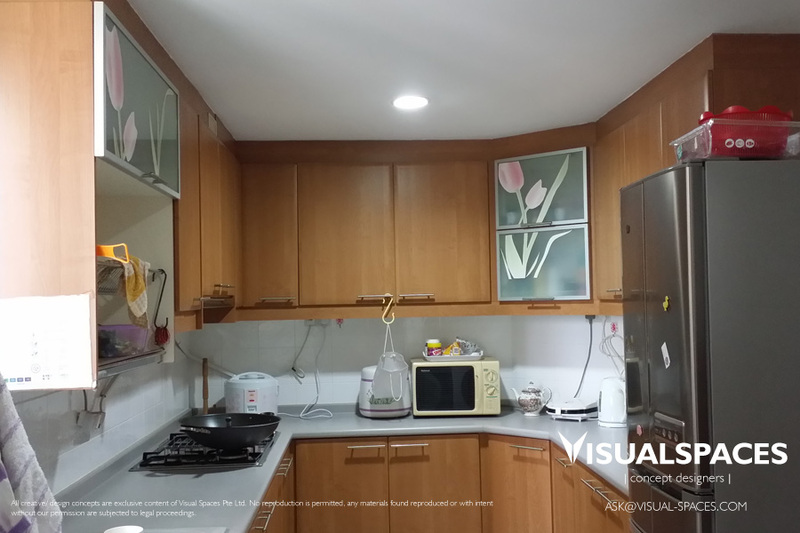 The client requested to have the different areas done up in phases as they are still staying there during the renovation and the project team at VS has no problem at all in executing the makeover with proper planning and blocking off areas to avoid any dusty work being executed. After measurements and fabrications were completed on site and off site, Finally, installation works began after 2 weeks…. Installation of the new Kitchen cabinets in white high pressure laminates and solid surface worktop with decorative ornamental handles which the owner loves were a breeze. 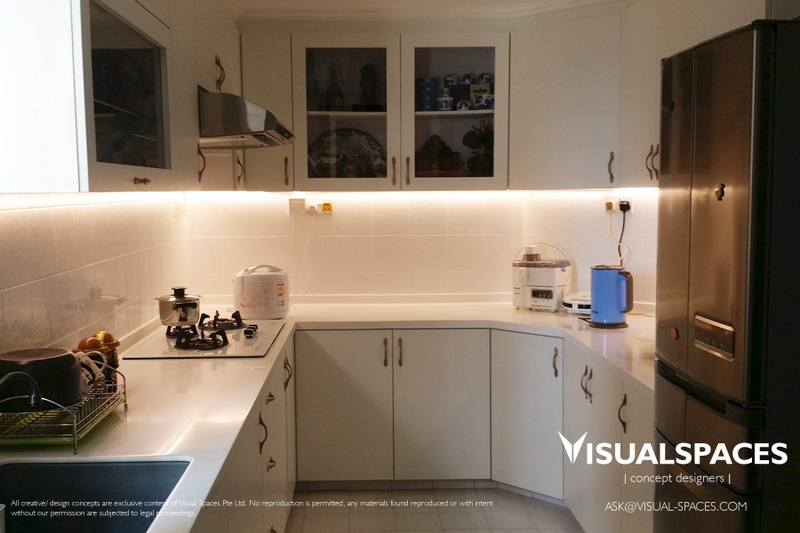 As the existing Kitchen lighting is not bright enough, we have added LED strips to light up the Kitchen further. Voila! See the difference? The Kitchen now feels airy and clean after the makeover! 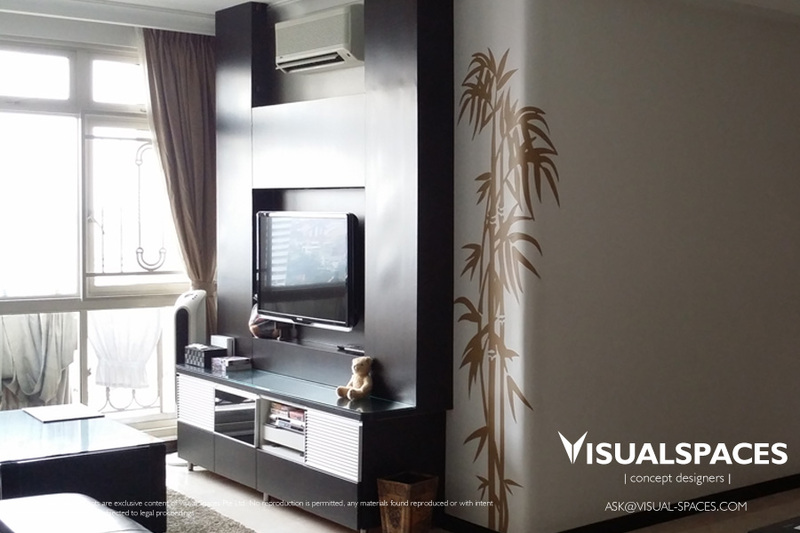 A clean yet functional TV console with more storage space were designed and built with a touch of Euro themed of wallpaper completed the look which our client loves. 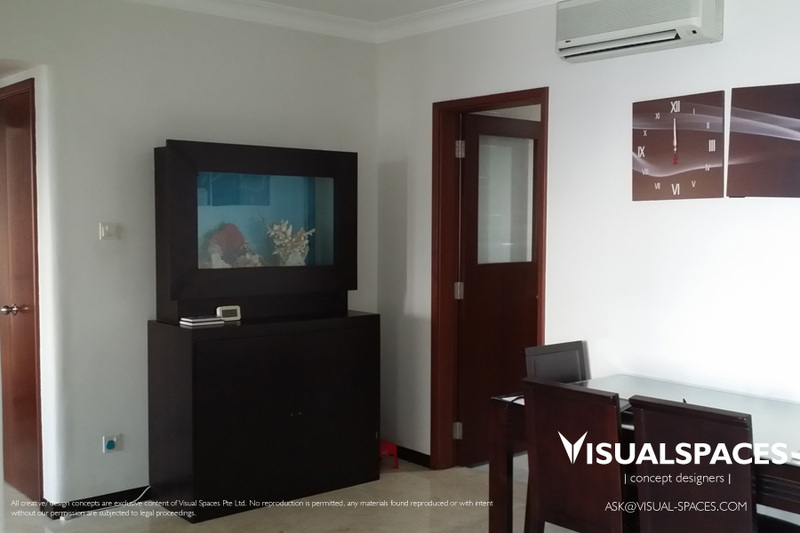 The wall looks empty after the removal of the Fish tank so our client wants to have a storage cabinets to keep her books and her daughter’s unused items. The Storage cabinet is measured to flush with the Kitchen entrance door height so it looks neat and blending into that area nicely. Our client felt that the existing bath tub and was basin cabinet is old, dark and taking too much space so VS removed and converted the bathtub area into a shower space with screen which looks more airy and bigger. The wash basin were also removed and replaced with a white themed basin with cabinets. 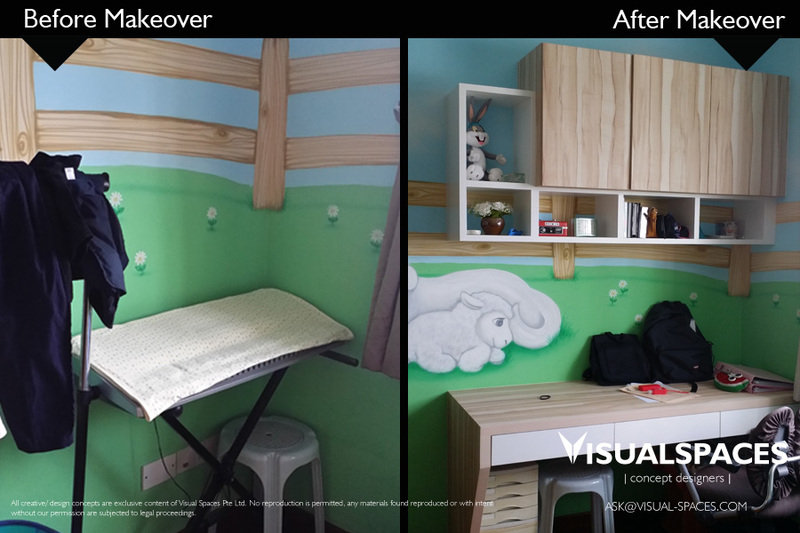 There is a need for her daughter’s room to have a study desk as well as a storage space for her books and displays. 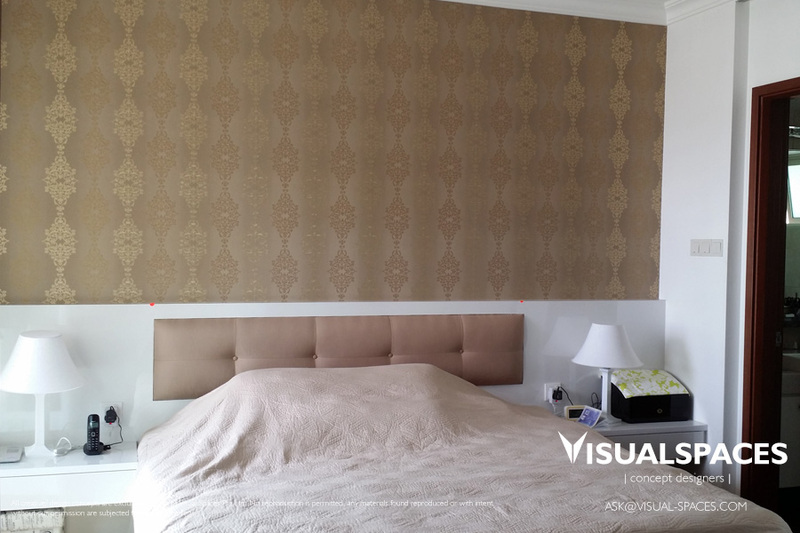 Our client’s friend did a really nice mural wall for her in the past and we love it too so we decided to keep it and build our carpentry items on and around it, choosing the colours of the high pressure laminate to match perfectly! 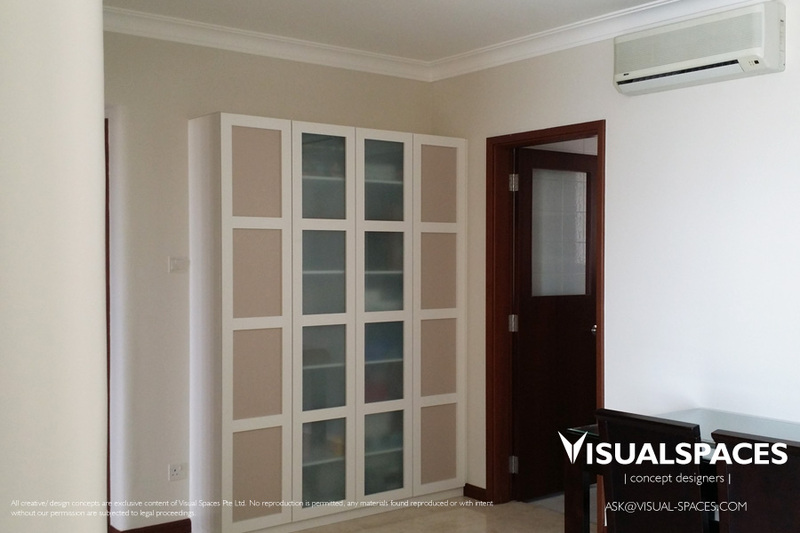 As our client often bring her work back home, she needs a small area to work quietly so she decided to convert a room which is empty with a treadmill into a small study space for her PC and documents. After installation of the items we have confirmed, our client is pleased with the result and decided to proceed to custom make her bed head too! So we did a simple yet elegant bed head to match her existing wardrobe. 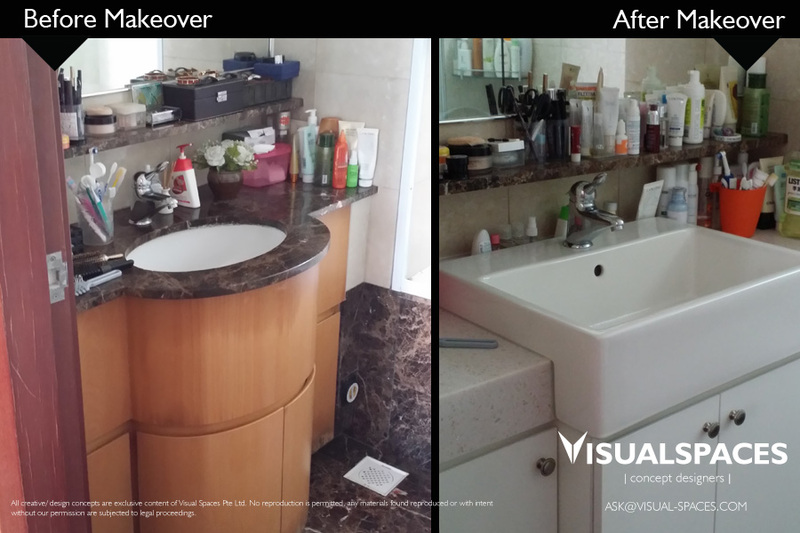 We hope you have enjoyed following the simple makeover process we have done for our client and has inspired or triggered you to consider doing a makeover for your own home too! Please look forward to our upcoming posts which we hope you gain ideas and know how our team professionally execute our projects! Interested to work with VS to design, renovate or style your new home? Contact us today! Be inspired by VS.
Click here to Contact VS.